Extended Warranty - Good Value ? Many electrical goods have a 12 month manufacturers guarantee anyway, and sometimes repairs are covered by other insurances. LCD TV and touch screen manufacturers claim a 60,000 hour to 100,000 hour product life which at 16 hours use per day is equivalent to a 10 - 17 year lifetime similar to the older style CRT TVs - a 3 year extended warranty may cost you £250 (US$375) or more, when failure, if any, is more likely to happen in the first 12 months which is already covered by the manufacturers guarantee. Richard Lloyd, executive director of Which?, said: "Our research highlights that many of the warranties on offer today are worse value than ever before and ignore the fact that appliance reliability has improved significantly. We want to see better products at reasonable prices and for people to feel clear about what they are buying”. Under current rules, retailers have to make it clear that buying an extended warranty is optional and not compulsory. In the United Kingdom the extended warranty market has been subject to several investigations. In 2002 the Office of Fair Trading decided that self-regulation of the industry had failed and passed the case onto the Competition Commission. This concluded that the market was not acting in the interests of consumers. 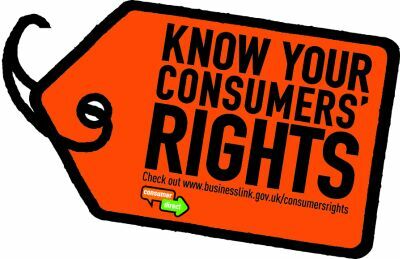 The Citizens Advice Bureau have expressed concerns about extended warranties being mis-sold. Extended warranties are an extra cost, sometimes for a percentage of the item's retail price. Occasionally, some extended warranties that are purchased for multiple years state in writing that during the first year, the consumer must still deal with the manufacturer in the occurrence of malfunction. So, what is often promoted as a three-year extended warranty is actually only a two-year warranty and since usually a claim is only likely to be made during the first few months, if at all, this would be covered by the manufacturers original guarantee. No guarantee or warranty will cover everything. Check your warranty documents, but it is likely there is a clause that explains this exclusion. If you can't find it, insist on the company showing it to you. Not all extended warranties offer the same sort of cover or protection and we believe they're often not worth the money. Which? tests show that most modern appliances are unlikely to break down in the first few years. Can I cancel a warranty and get a full refund? Yes – if you change your mind after buying an extended warranty that lasts more than a year for a domestic electrical appliance, you have 45 days from when you take out the warranty to cancel it and get your money back. You don't need to give a reason. The most common extended warranties are for domestic electrical appliances, but not exclusively and some audio visual distributors are also offering extended warranties. With these, there are laws to protect you from being pressured into buying an extended warranty without having the chance to consider it properly, or shop around for the best deal. A manufacturer's warranty and Consumer Protection from Unfair Trading Regulations, for products like LCD touch screens, provides you with the best deal and lowest cost – don't be misled by extended warranties that add to the cost and most likely provide little in real term benefits. The IR touch screen is a very well established, well proven, and reliable technology. Invented in 1971, the first "touch sensor" was developed by Dr Sam Hurst (founder of Elographics) in 1983 Hewlett-Packard's HP-150 was one of the first commercially available IR touchscreen PCs with a grid of infrared beams across the front of a monitor which detected finger movements. Other touch technologies have been developed since including resistive and capacitive used in many hand held devices and the much later optical imaging technology. 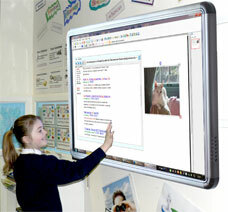 IR touch technology has also been established for a long time in the classroom in another form where it is used for some makes of interactive whiteboard where it easily withstands the daily wear and tear of eager pupils. There are some serious misunderstandings that reach me about the quality of sound systems in the classroom. Unlike Hi-Fi systems where listeners are used to, and some obviously enjoy, booming bass sounds and higher pitched screaming guitars or the full range of an orchestra, the need to make the voice of a teacher intelligible to a classroom of young pupils requires very different sound qualities. Comparing music on a Hi-Fi set-up with that played into a properly engineered classroom audio system, the classroom system will sound flat and the big mistake is to assume that the quality of the system is not good. This could not be further from the truth. 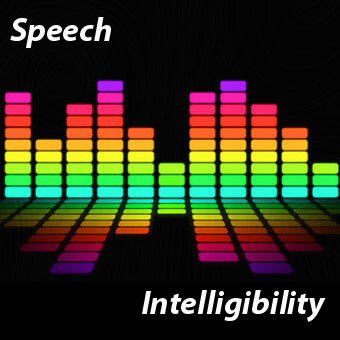 Speech intelligibility calculations and tests show that the articulation loss of consonants in speech (%ALCONS ) which is normally measured at 2kHz should not exceed 10% to 15%. The most important factor of the audio system for classrooms, is to have the correct frequency spectrum shape at 2 kHz. Many available sound systems ignore this in their design and would need some equalisation to correct these defects at 2 kHz. Our classroom audio systems are designed specifically for maximum speech intelligibility at 2 kHz in terms of frequency response, articulation loss and sound pressure levels and perform exceptional well at improving listening and as a result improved learning outcomes. Don't be fooled by those who offer to sell you under powered and poorly designed systems with booming bass ! China’s vast export sector has been battered on several fronts recently according to the Los Angeles Times. Demand from foreign customers has slowed. The Renminbi is strengthening, making Chinese goods more expensive. Hourly wages are rising with additional pressure resulting from headlines about poor working conditions at Foxconn, the massive assembler of Apple tablets and phones. Despite this, China has strengthened its position in the global supply chain. Already the world’s largest exporter, China’s share of global exports expanded during the recent global downturn, increasing to 10.7 per cent last year from about 9 per cent in 2008. When times are hard lower cost goods have a greater edge. Economists say the slowdown may continue depending on how the European debt crisis develops, and the results of the central government’s two-year campaign to deflate the nation’s property bubble. Prices for Chinese exports have risen 21 per cent since 2005, but less than the 32 per cent increase on goods from India and 33 per cent rise on exports from Mexico in the same period. China’s growing rate of imports, has been rising faster than exports since the 2008 financial crisis because of the country’s explosive construction demand. The Chancellor will tomorrow confirm that Barclays, Lloyds Banking Group, Santander UK, and Royal Bank of Scotland have signed up to the government's National Loan Guarantee Scheme (NLGS), which will provide cheaper lending to businesses with a turnover of up to ￡50m. Small and medium-sized businesses will from tomorrow morning be offered loans at 1 percentage point below these banks' standard lending rates, with about ￡5bn of government-guaranteed borrowing being made available in the first tranche. Barclays and RBS are expected to be the biggest users of the scheme to issue ￡1.5bn each of government-backed bonds to provide the cheap loans to small businesses. Lloyds is likely to provide about ￡1bn of loans and Santander less than ￡500m. Don't forget that you can get targeted enquiries by joining our supplier wall. This offer is open to sellers of our products and also Audio Visual Installers who may or not be selling our products right now . Contact us here to have your Logo and weblink added.